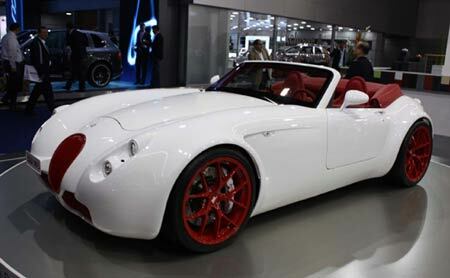 The Wiesmann MF5 Roadster has been well received by visitors to the IAA in Frankfurt. This little beauty is powered by a 5-litre V10 BMW engine pumping out 507bhp. The 4.2-metre-long two-seater will sprint from 0 to 62mph in 3.9 seconds. Top speed is around 195mph (310kph). As Wiesmann intends building only 55 models of the MF5, exclusivity is guaranteed. If required, the MF5 is available in right-hand drive form. It costs in the region of 189,500 euros (£173,500).